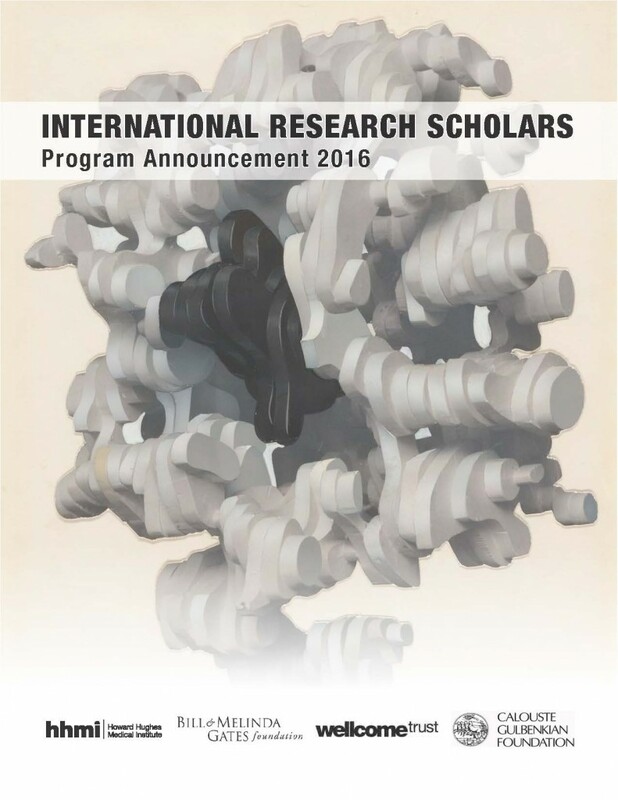 The Howard Hughes Medical Institute—in partnership with the Bill & Melinda Gates Foundation, the Wellcome Trust, and the Calouste Gulbenkian Foundation—has launched the International Research Scholars Program, which will support up to 50 outstanding early career scientists around the world. The competition is open to scientists who have run their own labs for less than seven years and have trained in the U.S. or United Kingdom for at least one year. Applicants should have an outstanding scientific training record and “exceptional potential for significant productivity and originality in their independent careers.” They must also run an independent research program on basic biological and disease mechanisms—which may includes areas of chemistry, physics, computer science, or engineering directly related to biology or medicine. The program will award each selected scientist with $250,000 in Year 1 and an additional $100,000 in Years 2–5, for a total of $650,000 over five years. Funds may be used for salaries and stipends, graduate students, postdoctoral fellows, technicians, equipment, supplies, travel, and publication costs. Because of the importance of the research environment, host institutions must be in a position to clearly support the research activities of grant recipients. Applicants may be a citizen of any nation and may work in any country other than a G7 country (Canada, France, Germany, Italy, Japan, UK, and US) and those on the list of countries subject to comprehensive or territory-wide sanctions by the U.S. Department of Treasury (currently Iran, North Korea, Sudan, Syria, and the Crimea region of Ukraine). Country of residence will only be used to determine eligibility and will not be a selection criterion. Following review by a panel of distinguished scientists, a group of semi-finalists will be asked to submit reference letters and an audio recording and asked to interview in London in February 2017, and the final group of awardees notified in April 2017.